Archive of The Celtic Way Walk: the route through ancient landscapes of Western Britain. The Celtic Way Walk was created to run from Pembrokeshire to Stonehenge, and then to Glastonbury. It goes through ancient landscapes, uses old tracks, new routes and ancient sites. This archive gives access to the original details for general interest only, not for walking directions. BE AWARE that the original walking details are out of date and should not be used for sole guidance if you venture on any of its sections. 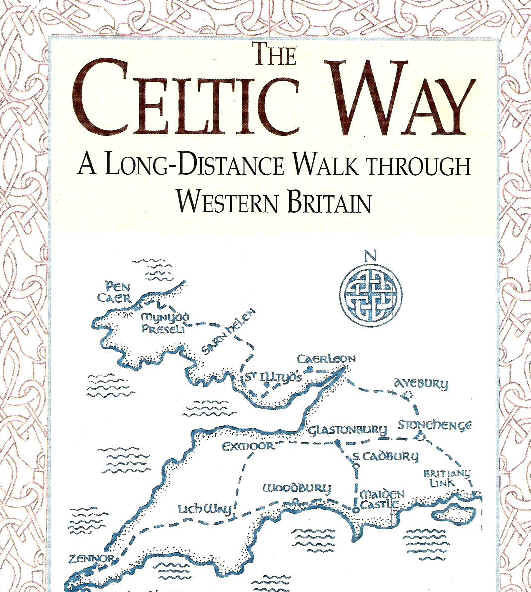 The original route THE CELTIC WAY - A Long Distance Walk Through Western Britain was published by Sigma in 1998. The Celtic Way Walk website licensed under a Creative Commons Attribution-NonCommercial-ShareAlike 4.0 International License. Permissions beyond the scope of this license may be available at contact@thecelticway.org. 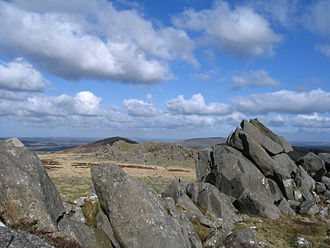 Pembrokeshire: Recent research indicates sites where the Bluestones might have been quarried and also that a possible 'Bluestone Stonehenge' might be found in the Preseli Mountains that predates Stonehenge.